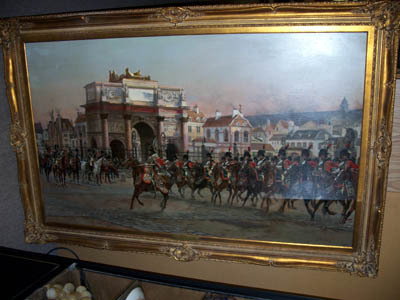 Golberg Restoration Co. - Paintings Restoration and Icons Restoration Services. 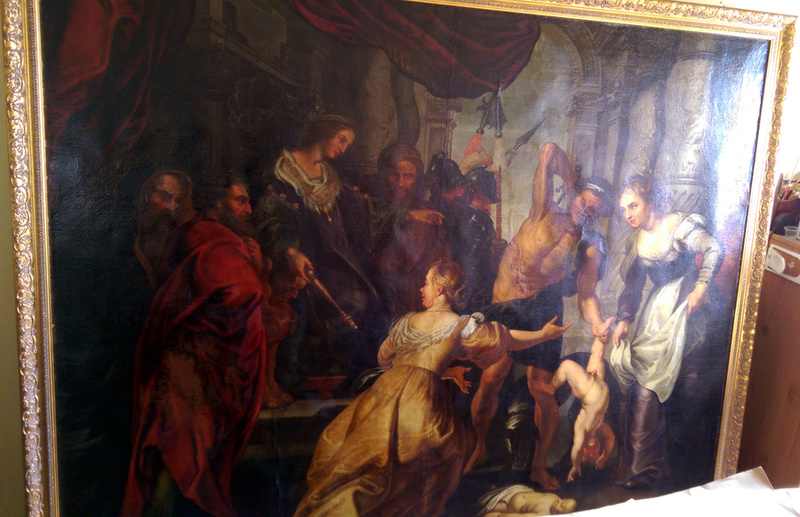 Our restoration methodology places emphasis on preservation of artworks. That is why, when we do restoration work on any painted surface, we go out of our way to make sure that the problem we are addressing will not reappear before its time. Our specialty is "invisible" restoration services. 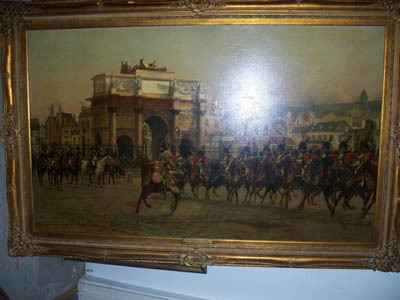 We have restored numerous tears in this painting as well as performed cleaning. 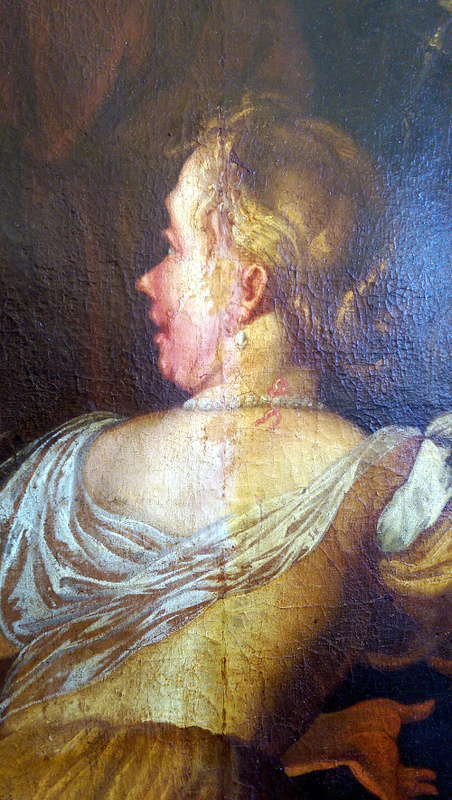 The close-up of the lady shows before and after cleaning work in progress. 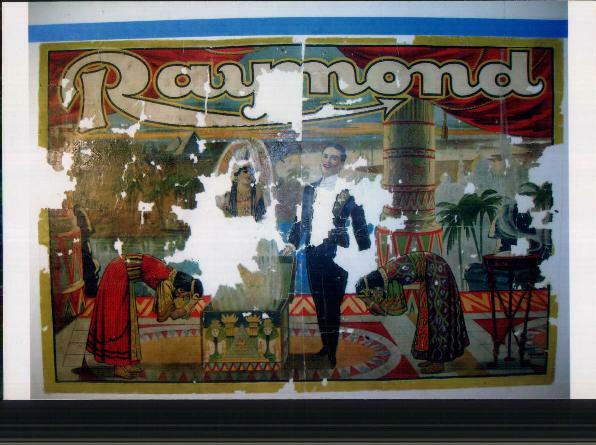 We brought the painting above back to its original look, performing inpainting and paint layer reinforcement. 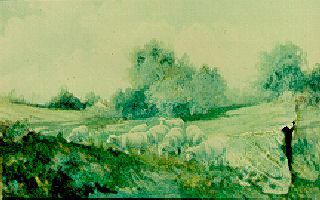 In case of this oil on canvas painting, we restored large tear in lower right corner. We brought the painting back to its original look, and also performed relining to reinforce the canvas so the tear doesn't reappear. 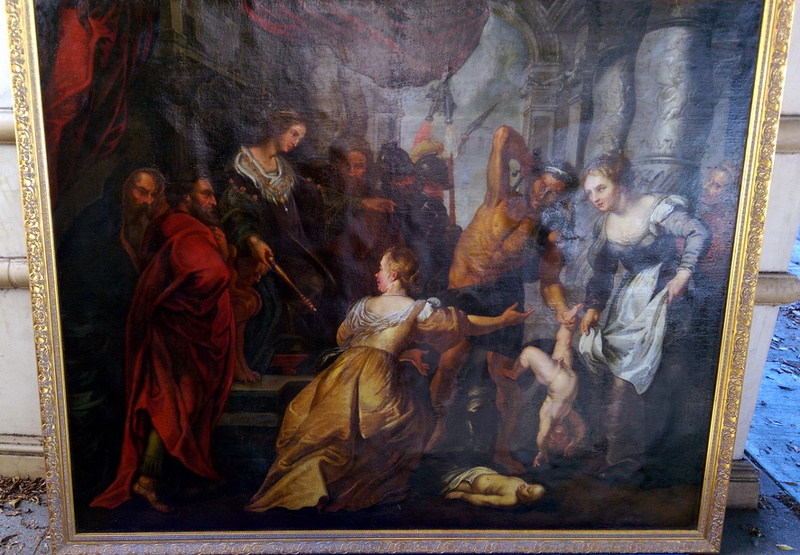 We have painstakenly cleaned this painting, removing old dirt and grime, while ensuring that the original paint layer was untouched. 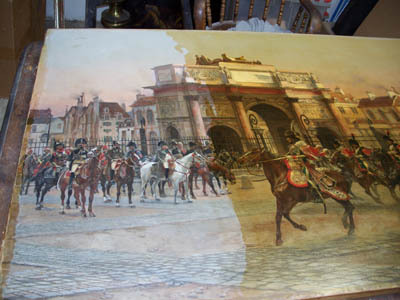 You can see the process in the photograph below which depicts the painting during cleaning. 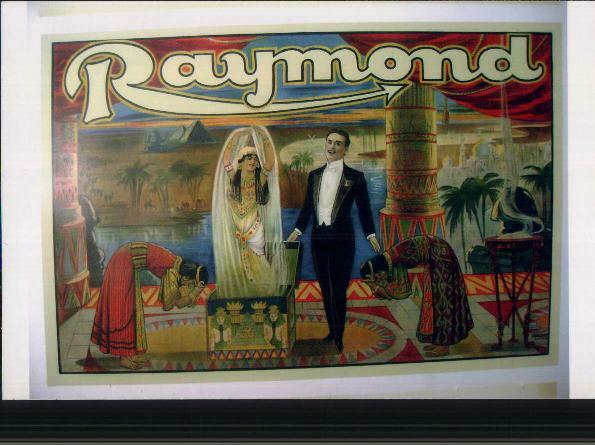 We have restored missing elements on this paper poster, bringing it back to its original look. With a selection of restoration services Golberg Restoration offers, you can be assured that after we have finished the work on any of your damaged painting, you will not be able to see the restoration work with a naked eye. We put big emphasis on preservation. As an example, when we eliminated the tear in the above painting, we not only made the damage invisible, but we also did relining to make sure that the tear does not reappear in the future. Cleaning and re-varnishing was done to protect the original paint layer.